Originally from Slovenia but with Italian roots from her mother side, Blanka moved to Vienna with the aim of starting her own fashion line. The fashion industry was a passion in which she had fallen for years before as a teenager while working as a model and a stylist before becoming a designer. 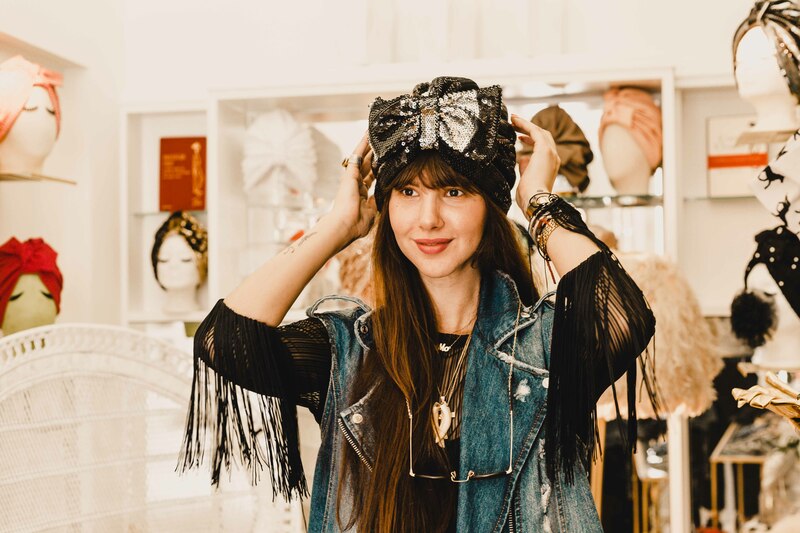 Even though she has a degree in Psychology, she could not imagine her life without fashion, a devotion that her grandmother had shared with her. This passion for the industry would develop into her own brand when in 2014, Blanka and her whole family moved to the Austrian capital. 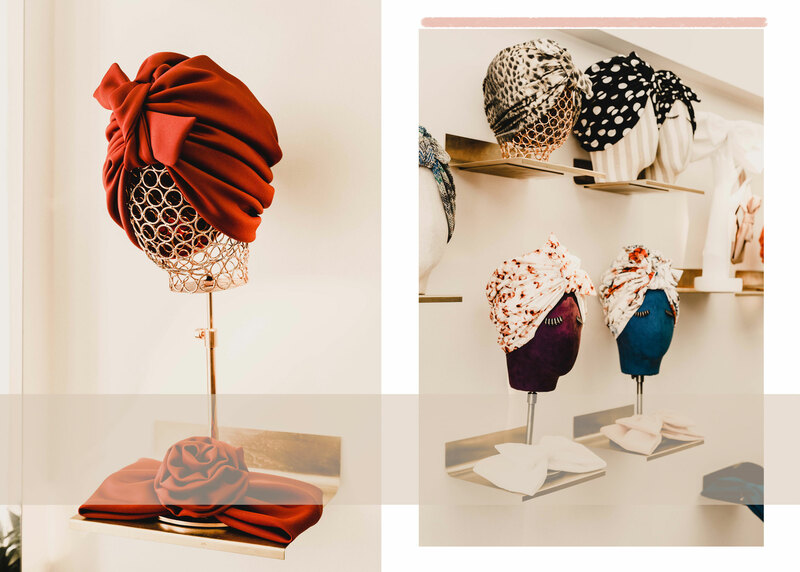 Blanka arrived with an important goal: setting up her business and selling her beautifully handcrafted fedoras and turban hats. 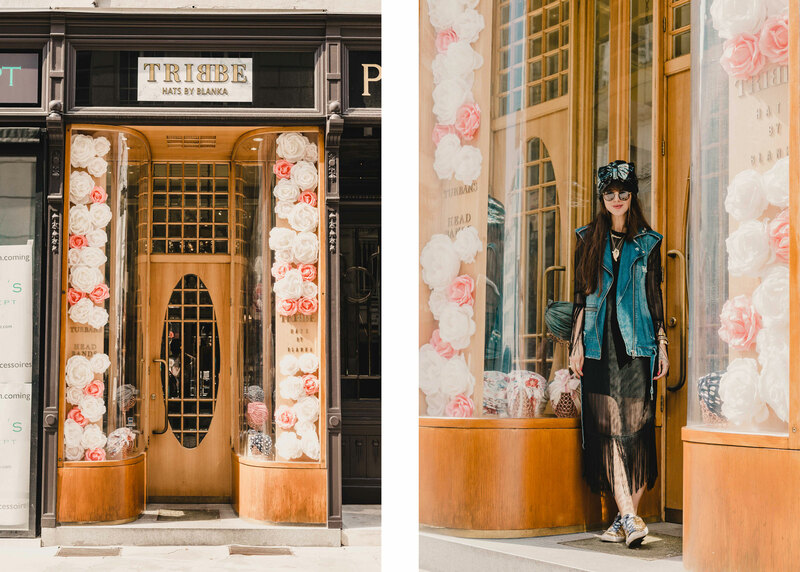 It was then when TRIBBE – HatsByBlanka came to life. Blanka did not have to wait long for the success. 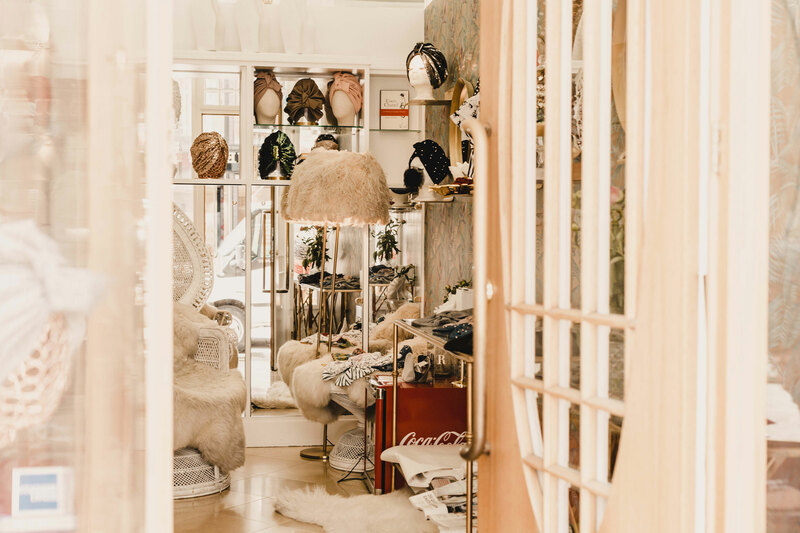 Customers started to flock in and in…Blanka opened her shop at Bognergasse 7, 1010 Vienna. Since then, her business continued to develop and having turned 30 only recently, Blanka is now getting ready to launch her very first jewellery collection. 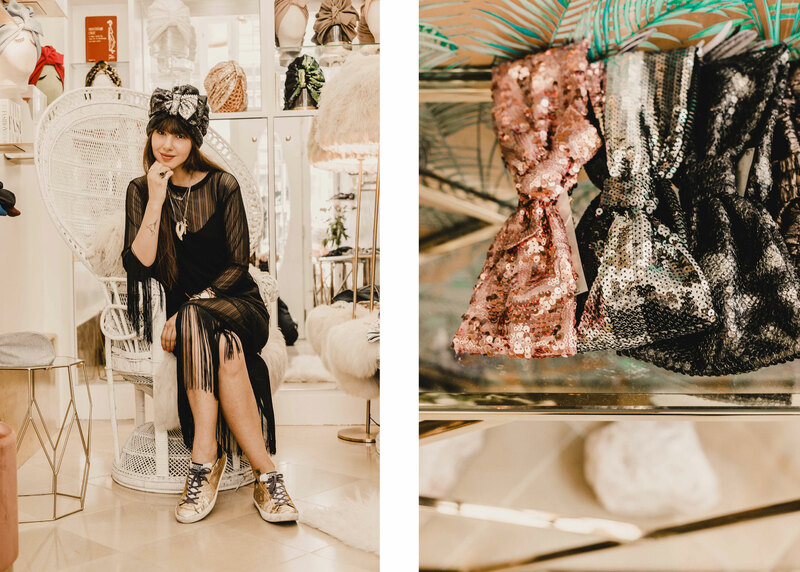 This young Mompreneur who found inspiration in the beautiful 50s and 60s muses has managed to create a unique brand with pieces that make women from all around the globe feel beautiful and “different”. All this, while bringing up a whole family in a new country. Mompreneur special strengths play a huge role in this story. Mit Handkuss: What does a day in your life look like? Blanka: Just like any other working mom having a business of her own out, my days consist mainly of kids activities, business meetings and other related tasks. Mornings begin by taking my three kids to school and kindergarten. Followed by having breakfast with some friends or business partners before rushing into the boutique and spending there the rest of the day. Once the working hours are over, it is time to be a mom again. Home, kids, dinner, sleeping time and getting ready to it all over again the next day. mH: What advice would you give to other moms starting a business? Blanka: Starting a business is a very big challenge by itself, imagine adding some extra spice to the whole experience by moving to a new country. This is exactly what I went through in 2014. Nevertheless, I firmly believe that even if the road can get bumpy at times, everything is possible. I am convinced that if the will is strong enough and your working ethics are on track, there is practically nothing that can stop you. mH: What does balance look like for you? How do you balance family and work? Blanka: My balance consists of being able to separate my work-related tasks from my family time. So, for example, during the morning marathon of school droppings and kindergarten visits, I do not take my phone with me. Family time is too valuable to miss out on it due to a phone call. Once the kids are all in their respective classrooms, I head to the boutique where the phone becomes my best friend again. During working hours, I am 100% in business mode. Phone calls, business partners’ meetings, customers, production and whatever else it takes to keep the business running. Once the working hours are over, it is time to jump into the “Supermom” role again. Bedtime and goodnight kisses with the brood are just as important to me as my business – if not even more! mH: Are there any nice plans for the future regarding the business? Blanka: Apart from launching my new line of jewellery in collaboration with Eve’s Jewel in the upcoming weeks, I plan to open a pop-up store in London this September. 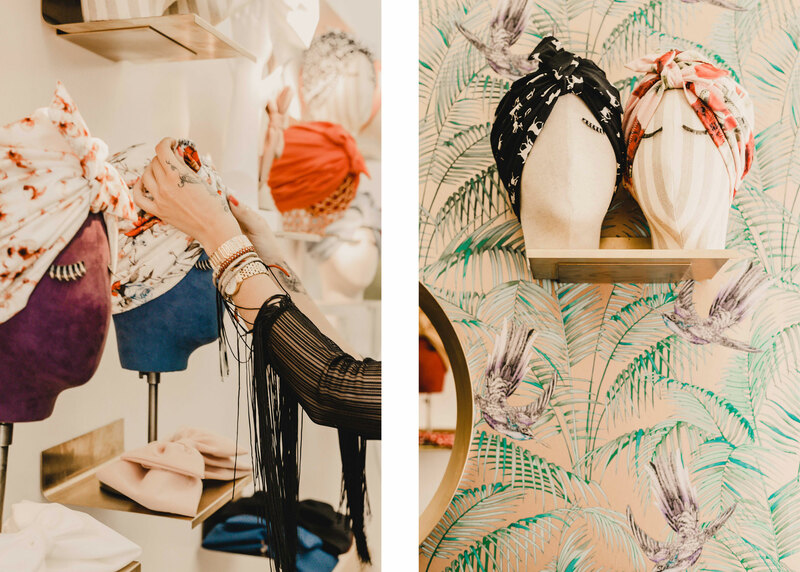 This new project which will take place in a dreamy location in the British capital will hopefully be followed by other similar pop-up stores in other cities. Like Riyadh in October, as Saudi Arabia is one of my most important markets. The pop-up should help me to reach many more inspiring women, also away from Vienna. mH: What inspires you when doing your creations? Blanka: My main inspirations are my incredible customers who visit me from all around the world. They all bring a little part of their own culture into my shop and my creations. 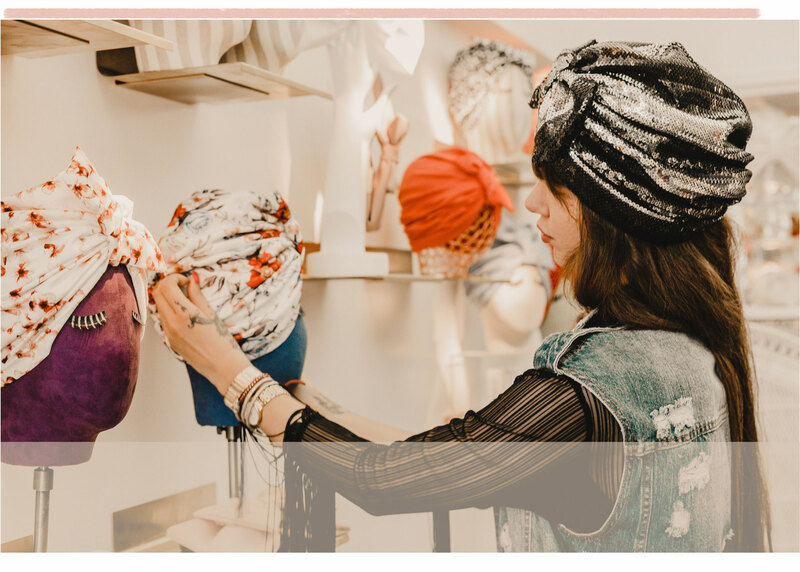 Being able to see how different women style their turbans inspires me to create new designs and head accessories in all types of different and possible materials. The 50s and 60s, however, remain as my favourite eras in history. 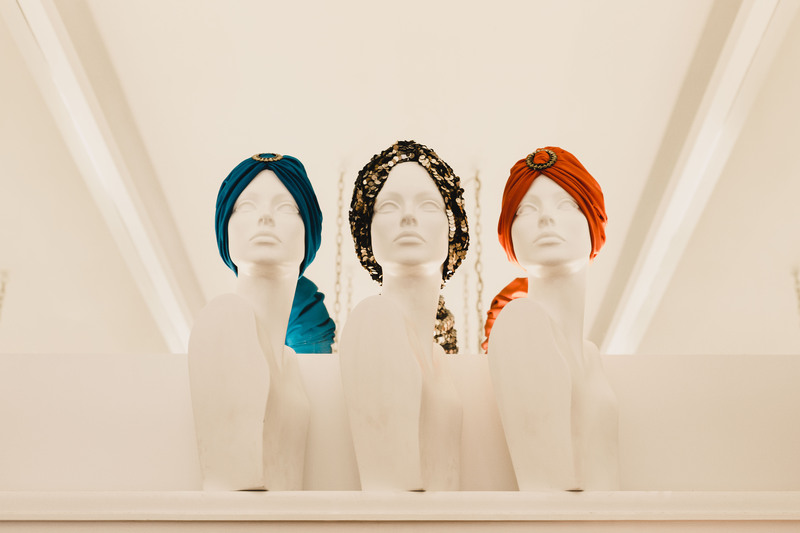 I always loved how Sophia Loren and Bianca Jagger styled her looks combined with stunning turbans. 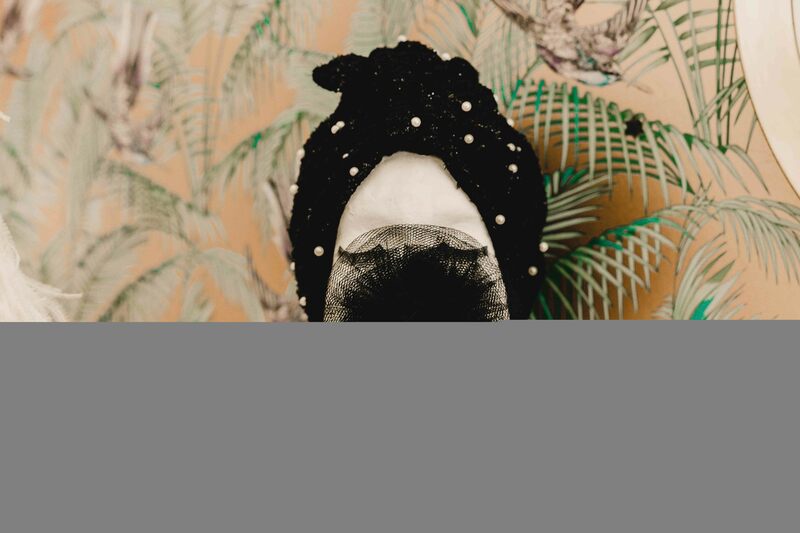 The elegance and fineness in which women of these years dressed and used head-pieces is something that I always like to have in mind when designing my new collections. mH: As a mom of three, how do you manage to bring kids and business together? Blanka: I believe that Mompreneur powers are given to you naturally and making both things work to perfection is already a superpower by itself. I have always been doing this, ever since my children were born, so they all grew into my brand and are very proud of seeing what I have created. For me, it is important that my children see as much as possible and learn some of my working ethics from a very young age. mH: What was your biggest challenge as a Mompreneur since you started? Blanka: Leaving all the business part aside, my biggest challenge as a Mompreneur is travelling for business without my children. Up until now, this has been the most challenging part of the whole experience. Being separated from my children is still very hard. I fear that I will never really be able to overcome this part of the game. mH: Lastly and most importantly…. morning coffee cup or afternoon glass of wine? Blanka: Morning coffee. Or should I rather say…three! Three cups of coffee are actually what takes me to start a working day! Blanka ist aus Slowenien zu uns gekommen. Das war 2014, und die junge Frau und Mutter hatte ein klares Ziel: Sie wollte für ihre wunderschönen Turbane ein eigenes Geschäft aufbauen. Das hat sie dann auch geschafft: Sie führt erfolgreich ihren wunderschönen Laden in der Bognergasse 7. TRIBBE – HatsByBlanka ist für Hutliebhaber ein absolutes Muss. Zukünftig vielleicht auch für Schmuckfreunde; denn in Kürze wird Blanka ihre erste Schmuckkollektion vorstellen. Inspirieren lässt sich Blanka insbesondere von der Mode der 50er und 60er Jahre. Elegante Frauen wie Sophia Loren oder Bianca Jagger prägten die damalige Modewelt. 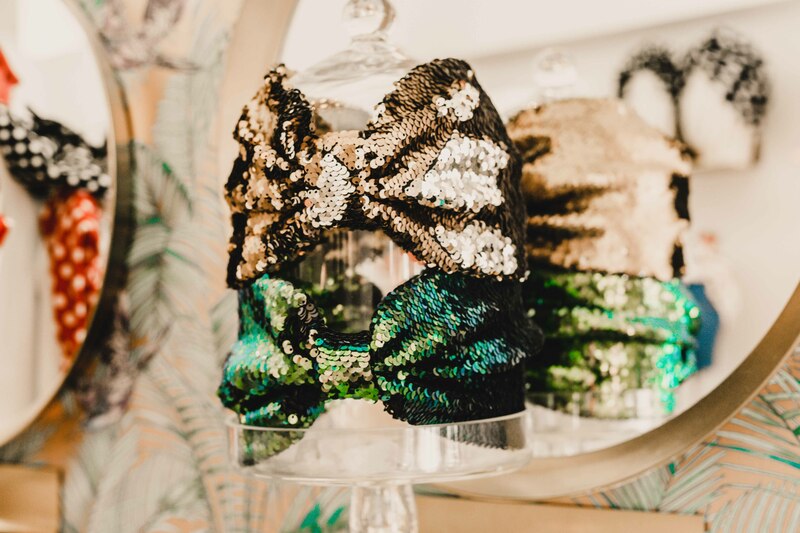 Neben der neuen Schmuckkollektion plant Blanka die Eröffnung von Pop-up Stores in London und vielleicht später auch in Riad, Saudi-Arabien – für Blanka ein wichtiger Markt. Nun ist die 30-Jährige Blanka aber auch Mutter von drei kleinen Kindern, und damit wird der Ausgleich zwischen Familie und Geschäft zur echten Herausforderung. Wen wundert’s also, dass Blankas Tage regelrecht durchgetaktet sind. Am Morgen die Kinder, dann das Geschäft, am Abend wieder die Kinder. Dabei ist ihr wichtig, dass die Zeit mit ihren Kindern ohne Handy verbracht wird. Denn nur dann kann sie sich ganz auf die Mutterrolle konzentrieren. Ihre Kinder lässt Blanka an ihrer Arbeit teilhaben. Je mehr sie sehen, je mehr sie lernen – umso besser für ihre Zukunft. So lernen die Kinder auch früh verstehen, was Unternehmertum bedeutet … und erfordert. Das größte Abenteuer? Ein Geschäft frisch aufbauen, und dies in einem fremden Land! Da gab es denn auch einige schwierige Momente. Aber Blanka ist überzeugt, dass sich mit Willenskraft und Engagement alles erreichen lässt. Hindernisse sind dazu da, überwunden zu werden. Nur Reisen fallen Blanka gar nicht leicht. Denn da fehlen die Kinder, und die sind eben doch das Wichtigste.